Magic Steel Band are available for Parties and Events. They offer flexibility and can be hired from a Duo up to seven players to suit the occasion. 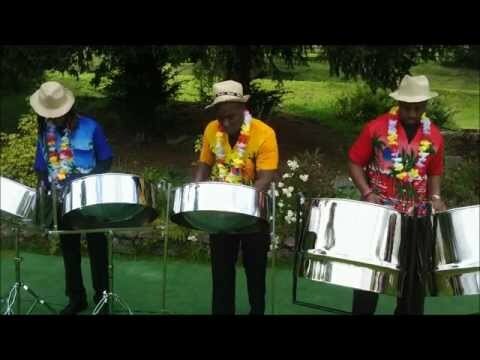 They play at Weddings, are available for Steel Band Hire for Caribbean Evenings and events throughout the UK. They also provide Steel Drum Workshops for companies and private groups. This Steel Band plays all the well known traditional island songs and a mixture of salsa, and bossa nova. Their music is arranged in an innovative style with jazzy chords and improvisations, but without losing the classic steel pan sound.